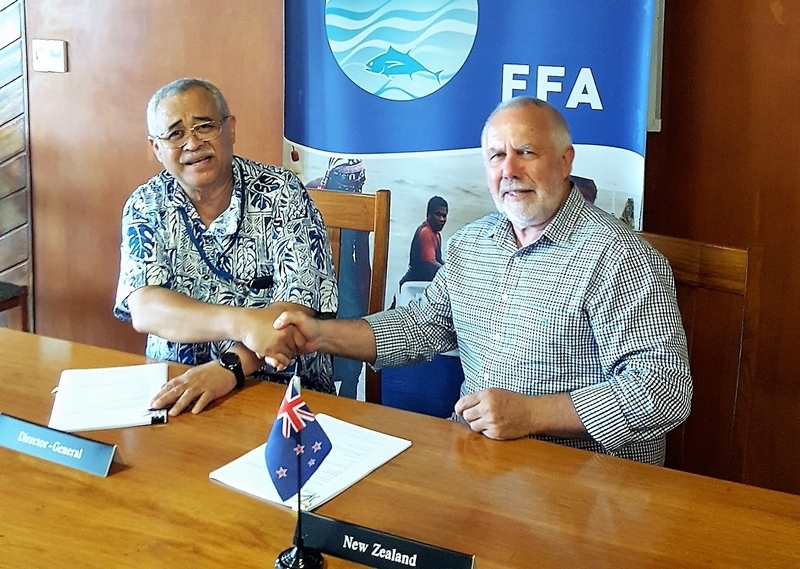 Fisheries management at FFA provides policy and services to its members to build national capacity and regional solidarity for the sustainable management of tuna in the Pacific. This includes legal expertise, principles and projects around Ecosystem Approach to Fisheries Management, policy expertise and support regarding fisheries management decision making bodies, notably the WCPFC and SC-SPTBF (Billfish Committee). The updated Pacific Regional Oceanscape Program (PROP) Environment and Social Management Framework (ESMF) has been revised with the World Bank to reflect changes in PROP’s recent restructure. This Tuna Fishery Report Card provides high-level advice on the current status of Pacific tuna fisheries in relation to the goals, indicators and strategies adopted by Forum Leaders in 2015 in the Regional Roadmap for Sustainable Pacific Fisheries. The report card takes into account the work of the Taskforce on Increasing Economic Returns from Fisheries, which was established by the Forum Leaders to develop a programme that will deliver real results within 5 years. Economic indicators now reflect Taskforce-agreed targets. A Transbounday Diagnostic Analysis (TDA) is a technical and factual document that is agreed by the countries involved. It is not a formal policy or action document. Public documents on the Tokelau Arrangement. Tokelau Arrangement Meeting Papers are available to authorised Participants via the Tokelau Arrangement link on the Meetings tab, if you are logged in. 24 February 2017,FA HQ Honiara SOLOMON ISLANDS – Efforts to implement the Tokelau Arrangement for South Pacific albacore will be significantly boosted by a funding grant of NZ$7.1 million from New Zealand.